The new chairman of the U.S. Federal Communications Commission will seek a stay on privacy rules for broadband providers that the agency just passed in October. FCC Chairman Ajit Pai will ask for either a full commission vote on the stay before parts of the rules take effect next Thursday or he will instruct FCC staff to delay part of the rules pending a commission vote, a spokesman said Friday. The rules, passed when the FCC had a Democratic majority, require broadband providers to receive opt-in customer permission to share sensitive personal information, including web-browsing history, geolocation, and financial details, with third parties. Without the stay, the opt-in requirements were scheduled to take effect next week. But critics have complained that the rules only apply to ISPs, and not to giant online companies, like Google and Facebook, that collect huge amounts of personal data. And the FCC rules hold ISPs to a higher privacy standard than the case-by-case privacy enforcement that the Federal Trade Commission uses when investigating other companies, critics say. Supporters of the strong ISP privacy rules say broadband providers have huge opportunities to collect customers' personal information. And U.S. law gives the FCC little authority to regulate the privacy practices of companies that aren't network service providers. "Chairman Pai believes that the best way to protect the online privacy of American consumers is through a comprehensive and uniform regulatory framework," an FCC spokesman said by email. "All actors in the online space should be subject to the same rules, and the federal government shouldn’t favor one set of companies over another." Republican Pai has promised to roll back many of the regulations passed while Democrat Tom Wheeler served as FCC chairman. This week, the FCC voted to roll back some net neutrality regulations that require broadband providers to inform customers about their network management practices. Pai's decision to stay the privacy rules goes against U.S. law requiring the agency to protect customers of telecom networks, said Matt Wood, policy director at digital rights group Free Press. "It's a tragedy that Chairman Pai is willing to ignore his own statutory mandate and delay rules that protect internet users from cable company abuse, while pretending that he's just chasing after a more comprehensive privacy law that's outside of his agency's congressional jurisdiction," Wood said by email. "The race-to-the-bottom mentality that Pai espouses may play well to the industries supporting him, but people will understand that Pai's fake promise of better rules tomorrow just means stripping away all protections today." 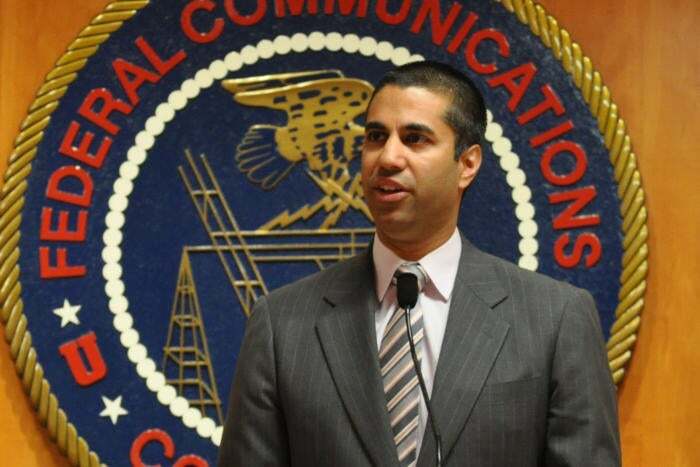 Pai's decision, however, earned praise from former Representative Rick Boucher, a Democrat who has criticized FCC regulations in recent years. The stay is "a smart first step toward rolling back asymmetrical regulation that is at odds with consumers' privacy expectations, deters innovation and causes marketplace distortion," said Boucher, now honorary chairman of the Internet Innovation Alliance, a broadband advocacy group. "Applying different privacy rules to the same online data by saddling only ISPs with new regulations doesn't make sense," Boucher added by email.